The data scientist branded a liar by Facebook for his role in passing information on millions of Americans to Cambridge Analytica says the social media firm is making him a scapegoat. 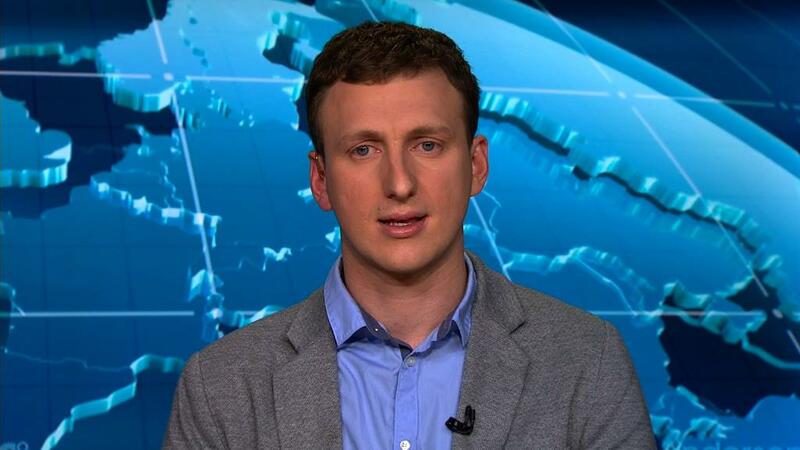 Aleksandr Kogan told CNN he gathered information on 30 million Americans through his Facebook personality test app in 2014 — data he then passed to Cambridge Analytica, which later worked on the Trump campaign. When Facebook learned in 2015 that Kogan had shared the information with Cambridge Analytica, it demanded the data be deleted, saying that transferring or selling it was against its company guidelines. Kogan, 32, said that he suspects thousands of other developers and data scientists had used similar methods to gather information on Facebook users. "Using users' data for profit is their business model," Aleksandr Kogan said of Facebook in interviews with CNN on Tuesday, his first time talking publicly about his work with Cambridge Analytica since Friday night when Facebook announced it had suspended him and the data firm from its platform for breaking its rules. Kogan says he doesn't believe he broke Facebook policy. He claims that Christopher Wylie, then a Cambridge Analytica staffer, assured him he was doing everything in accordance with Facebook policy. Wylie's revelations about his former company, reported by The New York Times and The Observer, sparked the current crisis facing Facebook (FB) and Cambridge Analytica. A Facebook spokesperson told CNN that Kogan had breached Facebook's policies in several ways, including by transferring data to a third-party for commercial purposes. "Aleksandr Kogan lied to us and violated our platform policies by passing data from an app," to Cambridge Analytica, Facebook said in a statement last Friday. Kogan, who has worked for Cambridge University since 2012, said he doesn't recall whether or not he read all of Facebook's terms and conditions in 2014, but that he relied on Wylie's assurances. A spokesperson for Wylie said their client had been open about his role in working with Kogan and Cambridge Analytica and that he has been working with British authorities for several months. The spokesperson would not comment on specific claims Kogan made about Wylie to CNN. Facebook did not respond to Kogan's claims. Kogan told CNN on Tuesday that when he began his work looking into what can be predicted about any given person based on what that person "likes" on Facebook, he was relying upon research that had been done by others, but after he began looking into it himself, he said, he found the model was not effective. "What we found ourselves was that the data isn't very accurate at the individual level at all," he said. As a result, he said he believes that Cambridge Analytica was selling a "myth" to political campaigns by suggesting they could offer a more sophisticated method of targeting voters by determining their personality types through social media. Kogan said he would be happy to testify before Congress on his work for Cambridge Analytica and to speak to authorities should they wish to talk with him. He also said he hopes that there may be a "silver lining" to the current controversy, a discussion about how social media companies like Facebook use personal information to sell ads. "The broader question is the elephant in the room," he said, adding that in exchange for free services like Facebook, users become the product that is sold to advertisers. "Are we concerned with being the product?" he asked.